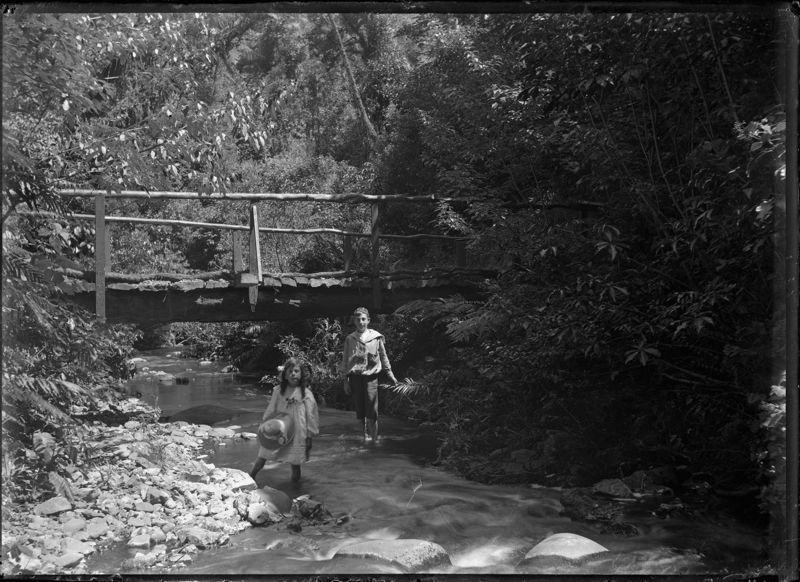 In her 1954 reminiscences of pioneering life in the Manawatu town of Palmerston North, Charlotte Warburton writes about childhood adventures in the bush in the Hokowhitu area, adjoining the Manawatu River. I grew up in Hokowhitu in the 1970s, not far from the River, but by then there was little sign that anything but the exotic had ever thrived there. The River was bordered by a disorderly array of exotic species such as crack willow, lupin, and probably blackberry and gorse, though at seven or so years old, my botanical powers of observation or knowledge were not well-advanced (actually, they still aren’t). Even the one remaining lagoon, the nearby Hokowhitu Lagoon, was surrounding almost entirely with exotic trees and shrubs. So it is with a mix of fascination and regret for my own lost childhood opportunity that I read about “the place of mystery and enchantment” that the bush of the Hokowhitu presented to children in the 1880s and 1890s. “Up to about sixty years ago the bush at Hokowhitu reached to the College Street corner of what was then Alexandra Street (now Victoria Avenue) [click here to view location]. Children taken for a walk down that street saw in front of them a place of mystery and enchantment which they longed to explore, but on reaching the fringe of the bush, they would be firmly taken back, by an inexorable nurse… [who told them that] “that lovely bush was full of swamps and lagoons and children would only get drowned if they went in there”. It is sad that today, few children can set off on “bush adventures” from their doorstep, to savour the sweetness of kie kie vine, swing from supple-jack, or paddle in forest pools. Perhaps, with the efforts of many of those involved in bush and wetland restoration projects around the country, the day will come again when they can. Source: Changing days and changing ways (1954) by Charlotte E. Warburton.